Once connected to the news each morning (unlike certain New Yorkers last week), I try not to succumb to lists (“Five Things the Government Can Do to Lower Airline Ticket Prices;” “3 Easy Ways to Use Clickers and Peer Instruction in the Arts and Humanities”—both of these pretty instructive, BTW) or rants. For one thing they remind me of what is, increasingly, the hardest part of teaching the young to write: understanding the difference between a proper think piece and the models they've absorbed from radio, cable, and self-selected news feeds. For another, it disturbs morning coffee. But it was hard to ignore "Why I Hate Museums" by the CNN travel writer James Durston. I disliked them too, once, more naturally drawn to the excitement of the concert hall; then acquired the taste and technique from years of living in and around Paris, where museology reigns supreme—and a tolerable concert hall is so far nonexistent. Durston has a point about vases and pots. Also the fatigue (as pictured) and, too often, the crowding. As to the little tags (referencing the superb traveling exhibition from the Orsay), I won't read beyond any sentence that has the words Fauvism, post-Impressionism, pointilism, and cubism in one sentence. But there are infinitely more reasons for the historically minded to admire the museum model than to denigrate it, several of them noted in the response by Ford W. Bell. When Joseph Kerman retired nearly two decades ago(! ), we hosted an afternoon symposium at UC-Davis on what he liked to call Criticism, and during the Q&A I asked him what he was looking forward to most about retiring. “Not going to concerts,” he pronounced categorically. Aghast, we disciples listened as he went on about his growing distaste for sitting upright in tidy rows and worshiping at the altar of, as they were by then widely known, dead white European men. The alternative model he proposed was the vibrancy of the museum experience, “where you can touch and feel, use the computer, stretch out,” he said. In the end museums are not so much about tourism, of course, as about one's personal connection with the past. Once the past and its artifacts are in your veins, there's a real thrill to coming around the corner to see Vermeer's "Girl with the Pearl Earring" or Gaugin's ladies on the beach—in the flesh as it were. It's a feeling I associate with hearing the Brandenburgs on old instruments or (yes) the Bayreuth Experience. I was thinking along these lines, anyway, during a week marked by such connections. One was an organ recital by the distinguished English organist-choirmaster Martin Neary at Notre-Dame-des-Marais of La Ferté-Bernard, in the Sarthe region, France. It was not just that the historic instrument comes from 1532 (restored 1986): here, in a tiny loft suspended between two columns, the smallish artist scarcely managed to wedge himself—acknowledging applause like a gargoyle come to life. But in introducing the Purcell rondeau on the program, Neary noted in passing that the composer had been his predecessor (from 1669) at Westminster Abbey. A proper frisson passed through the assembly—for me a flood of thoughts and associations altogether similar to those encounters with Vermeer and Gaugin. For Kenneth Levy (1927–2013), whom we lost last week after a long illness, 1532 was relatively modern. A generation of Princeton musicologists learned their medieval and Renaissance notation from him, and I went on from one of his seminars to enjoy a lifelong scholarly interest in Edmond de Coussemaker and a literary/musical affection for the work of the trouvères and troubadours. Not so secretly, Ken was also a fan of Bellini (and curious about Steibelt), which is what led him to conclude that he just might be interested in a dissertation on Berlioz. Adieu, bon père. Levy: “Musicologists and Generalists: A Medieval Perspective,” College Music Symposium, 1988. D. Kern Holoman, professor emeritus at the University of California, Davis, is curator of Musicology Now. 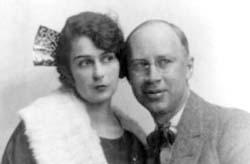 On the evening of 8 February 1930, a train spirited Prokofiev and his wife Lina south from New York City. The cloudy skies and freezing temperatures of the upper East Coast soon gave way to the sun-filled horizons of the American South. Pleased that he had chosen a route that brought him through more temperate climes, Prokofiev tended to his correspondence and updated his journal. In the latter, he remarked that the journey—which would eventually bring him to Los Angeles—afforded several days of respite in the midst of his North American concert tour, already more than a month in progress. Along the way, he recorded travel highlights that included the French Quarter of New Orleans, the rafts that ferried passengers across the swamps of southern Mississippi, and the warmth of the desert Southwest, where Prokofiev enjoyed sitting on the rear platform without an overcoat. The Prokofievs in Cuba, March 1930. Two days into the journey, Prokofiev described an unusual event in his journal: “In the evening a telegram came from Gloria Swanson’s film studio: they want to confirm that I’m on the train. A commission? Or do they simply want to film me exiting the train in Los Angeles?” He joked with Lina that Swanson surely wished to engage their photogenic son, Sviatoslav. They had to wait for an explanation until they arrived at their hotel, where they received a memo from one of the actress’s associates. It explained that Swanson was “very much interested in music of the modern trend” and wished to consult Prokofiev “in connection with a new motion picture, being prepared for production.” The invitation stirred Prokofiev’s curiosity—he wrote in his journal that it was “splendid and smelled of money”—and he and Lina agreed to have breakfast with the actress the next morning.During their meeting, Prokofiev learned that the film in question was What a Widow!, a comedy starring Swanson as a wealthy widow pursued by unwelcome suitors. Swanson explained that her financial backer, the Boston banker George Kennedy, was a great fan of Prokofiev’s music and hoped the composer would write the film’s score. Prokofiev recorded nothing about the commission’s musical requisites or the film’s subject in his journal, instead jotting down strong impressions of his surroundings: Swanson was “so beautiful and so famous that you don’t know how to approach her,” and worked not simply in a studio, but in a veritable “cinematic town.” He also felt “naïve” when Swanson learned that he had never seen a sound film and escorted him to an impromptu showing. The resources and glamour of America’s “cinematic town” made their first, but not last, impression on Prokofiev. Ecerpt from Composing for the Red Screen: Prokofiev and Soviet Film (Oxford UP, 2013). YouTube fan collage for What a Widow! See also Simon Morrison, Lina and Serge: The Love and Wars of Lina Prokofiev (Houghton Mifflin Harcout, 2013) and BBC World News feature. Kevin Bartig is assistant professor of musicology at the Michigan State University College of Music. He earned his MA and PhD degrees from the University of North Carolina at Chapel Hill. 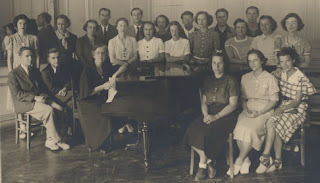 On September 24 at the Library of Congress, I’ll give a talk on American composer Louise Talma (c. 1906–1996), her youth, and her first composition. At the same time, I’ll be putting the finishing touches on my book about Talma and her works (Ashgate, forthcoming 2014). My interest in Louise Talma stems from my first book, an institutional biography of the Conservatoire Américain in Fontainebleau, France. She was, along with Aaron Copland, one of the Conservatoire’s most successful pupils, and although her music is not performed today as frequently as it was during her lifetime, she was at one time a significant figure in the contemporary music world. Nadia Boulanger and her class, including Lousie Talma. Her scores, musical sketches, and notes for works are also often annotated. In selecting texts to set as songs, she identified poems “about death—mostly of a young girl,” and marked others as humorous, nature-related, or personal. She copied out texts she considered setting; made fair copies of her scores; identified portions of rows in her more serially-influenced pieces; took dictation from birds, the sounds of silverware falling on the floor, and the sounds of the cities in which she lived; made copies of the letters she sent, so that she would remember exactly what she had written; and kept track of how much composing she had done each day by writing the date and time she stopped at the end of each day into the manuscript at hand. With such an abundance of material, especially combined with the fact that so many of Talma’s pieces were overtly autobiographical in nature—such as her religious works, which serve as conversion narratives, her musical responses to the Vietnam War and the Kennedy assassinations, and others—it seemed only logical to explore the issue of musical autobiography in her work. While there were plenty of other approaches to take with Talma’s work, including traditional musical analysis, queer theory, feminist theory and analysis—all of which I use in my work—reading both deeply and broadly in women’s autobiographical theory led me to decide that using it autobiography as a frame for Talma’s work was altogether appropriate. It also offered a relatively new way of examining the conjunctions of a composer’s life and work. Although the autobiographical reading of works of music is not new and has been done before, particularly with Berg, Berlioz, Mahler, and other male composers, the direct application of women’s autobiographical theory and the concept and theory of écriture féminine to works of music is less common. Hélène Cixous has famously written that “women must write themselves,” and this need not be limited in any way to prose writing. This approach has proved illuminating. Once I began to understand Talma’s writing—both prose and musical—as a form of self-writing engaged with the sociopolitical and creative atmospheres in which she worked, the connections between her self and her music became even more striking. And while there are competing theories of women’s self-writing, no scholars can deny the complexity of the issue of women writing their own lives in a culture in which women are viewed as—and frequently view themselves as—the Other. 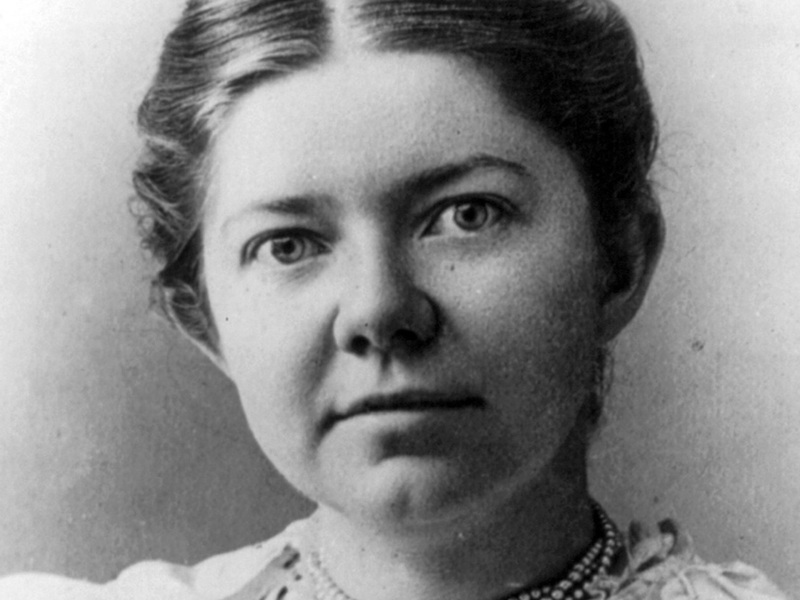 Talma’s works serve as rich, multi-layered examples for this point and many others put forth by theorists of women’s self-writing. Between Talma’s letters and her compositions, reading with the theories of women’s autobiography in mind has enabled me to chart the course of her life and development as a composer and artist with far more information than a more traditional approach or even mix of approaches to her works might have supplied. This study, along with old-fashioned digging, interviews, and time spent with microfilm, has revealed her fears, hopes, compromises, and decisions in ways that can only benefit both the scholarly understanding and performative interpretation of her music. Note: Kendra Preston Leonard's lecture is now available as a webcast. 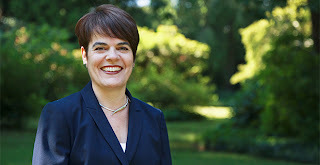 From her home base in Loveland, Ohio, Kendra Preston Leonard serves as Managing Editor of the online Journal of Music History Pedagogy and director of the Silent Film Sound and Music Archive. 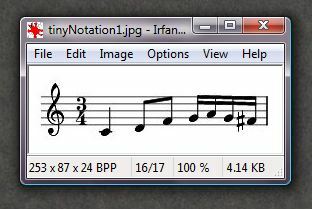 Speaking of musical examples, we hope to treat them, in the general context of life after Finale and Sibelius, in a forthcoming post that considers the worlds of LilyPond, MusScore, MusicXML, and the like. Joe Horowitz's book on Rouben Mamoulian and Porgy and Bess was published on July 29: “On My Way”: The Untold Story of Rouben Mamoulian, George Gershwin, and Porgy and Bess (W. W. Norton). Mamoulian, who went on to stage Carousel and Oklahoma!, figured importantly in Horowitz's Artists in Exile (HarperCollins, 2009). Spoiler alert: things went downhill for him (M., not H.) from there. Meanwhile in London, the Southbank Centre's year-long theme/festival, The Rest Is Noise, embarks on its second half by commemorating the Britten Centenary in events scheduled for 27 September–12 October. The remainder of the year considers classical music in the aftermath of World War II. It's a dandy partnership involving the London PO, The Guardian (free PR), BBC 4, and The Open University. Among the speakers Alex Ross is of course front and center, but also Nuria Schoenberg-Nono, Frances Stonor Saunders (Who Paid the Piper? on the CIA and the Cultural Cold War), Angela Davis, and Steve Reich. The week brought more bad news for music journalism from the Cleveland Plain-Dealer, Village Voice, and the (London) Sunday Independent; really big news from the Boston Globe and Washington Post; and a fine riff on modern media from Doonesbury last Sunday. Two big opera stories made the daily press and lit up the web: the booing of Frank Castorf's production of the Ring in Bayreuth (copulating crocs, Siegfriend's machine gun) and Thomas Hampson's enviably cool responses on BBC-TV to unspeakably silly badgering—and generally bad manners—of the kind that characterizes American daily rants, aka cable news. We mean to follow up on both stories. The loquacious maestro Hampson is, as somebody put it a long time ago, one of the good guys; for musicology, that includes having established a Thomas Hampson Fund meant to foster editions and scholarship on classic song in all its contexts. And, by the way, the trailer for Simon Boccanegra (why Hampson was in London to begin with) shows a more comely facet of the new media. 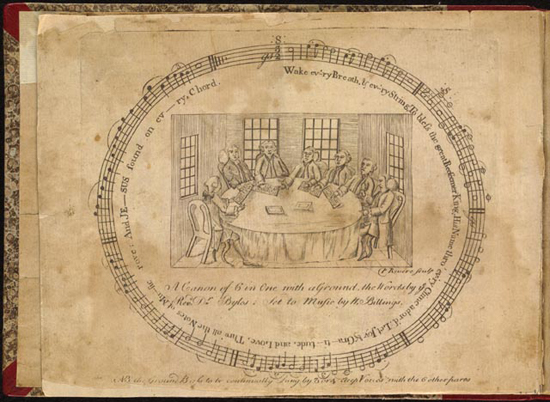 Note: Will Robin's piece for NewMusicBox begins with Charles Seeger's discovery of American shape-note notation and goes on to trace "a sturdy lineage of American musicians who sought out a maverick impulse in native hymnody." Don't miss the YouTube posting of Pare Lorentz’s film The River (1938), with music by Virgil Thomson. Read the NewMusicBox piece HERE. The accompanying audio tracks include a terrific new recording of Paine's First by JoAnn Falletta on Naxos--way better than the Zubin Mehta version on New World. I would like to think that this will be noticed and have some impact. NPR is eager to foster discussion--if anyone feels like responding to my various tendentious claims (e.g. that George Templeton Strong composed the most beautiful slow movement of any American symphony; that the New World Symphony is "American"; there are two Great American Symphonies, both by Charles Ives). Read the NPR piece HERE. Go to NPR Deceptive Cadence blog. Fans of Phil Ford and Jonathan Bellman's weblog are mightily pleased to welcome it back after a hiatus of some years. Who wouldn't grin to think about the "Maestro-Industrial Complex" or enjoy Ford pimping his new book [his construction, not mine] under the heading "Ontogeny, Dammit"? 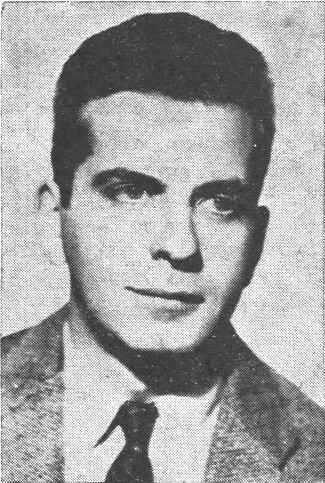 Ryan Bañagale's obituary for Dial M, 30 May 2010, in Amusicology, a weblog (presently sleeping) from Bañagale and Drew Massey.